You’re building a business and a platform, and you’ve got some traction. You’re bringing in revenue, serving clients, connecting with peers, and living into your life’s purpose. But you’re ready to see what’s next on the horizon. You’re ready to go bigger, to act more boldly, and to truly step up as a leader in your industry. It’s time for you to publish your book. You have a message for the world that is unique to your own story and wisdom. You have so much that you want to share. You know you’re ready. Why does publishing feel so daunting? You just need a publishing team that’s on your side. The traditional publishers are so exclusive, you practically have to bribe your way in to their good graces. And, even then, you give up 90% of your book’s profits when you sign with them. The new “hybrid” publishers are interesting but confusing. Which of them is legitimate? Why do you have to invest money upfront and give them 50% of your profits on the book sales? And some people would recommend you just Do-It-Yourself, learn how to self-publish, but that sounds like a major headache. Isn’t there a team that can help you publish your book, with your best interest in mind? Paper Raven Books is your publishing team, here to guide you through every step of the way: writing, editing, design, publication, and book launch. Hi, I’m Morgan, the Founder and Managing Editor of Paper Raven Books. We are a team of top-notch publishing professionals, and we work with entrepreneurs and platform builders who want to publish a book that levels up their business and platform. We help you shape your bold message into a beautiful book. All authors have two things in common. They’re not sure whether their words are clear and powerful. They don’t know the technical ins-and-outs of publishing. They doubt their own endurance to see the project all the way to the end. The second is a deep-seated, unrelenting desire to make it happen, somehow. and an idea that’s getting cold on the back burner. and a beautiful, published book. You don’t have to publish this book on your own, not when we’re here to help. If you’re struggling with a book project now, the Paper Raven Books team is to help. It’s possible to transform a good first draft into an unbelievably amazing book, with the right team of editors, designers, and project managers. Publishing houses know this, which is why they assign every book an editorial team, a design team, and a publicity team. Here, at Paper Raven Books, we follow the same model. We are a small, tight-knit team, representing some of the industry’s best publishing professionals. A team of three editors, a designer, a book launch strategist, and a project manager works on every book that comes into Paper Raven Books. We all share the same vision for your book, but we also bring our unique gifts and talents to your book. It’s a comprehensive and efficient way to help your rough manuscript evolve into a high quality, published book that sits beautifully on a shelf and that you’re proud to sell. Victoria Klein is our amazing project manager. She keeps us all communicating well and sticking to our timelines. Victoria is the glue that holds our publishing team together, and she’s an author, in her own right. She’s published two nonfiction books, so she has quite a lot of experience in writing, editing, and marketing books, as well! Client happiness expert, social media engager, and avid non-fiction reader, Amanda can be found on the front-lines of Paper Raven Books. When not working for the best company ever, she stays busy by learning the latest social media algorithms and running after her wildly adorable toddler. A California native transplanted to the Midwest, Jennifer has over 15 years of experience in business, marketing, and publishing. Over this time, she has held the titles of marketing director, managing editor, graphic designer, and director of communication. Her skills include complex project management, writing and editing, marketing, and graphic design. She is an agented author, having ghost-written nonfiction and written novels, curriculum, and award-winning articles and short stories. Laurence is a developmental editor and writing coach who specializes in the social sciences, self-help and existential coaching. He has worked on manuscripts published by Cambridge University Press and Taylor & Francis. He was born in the UK, grew up in Belgium, and learned German in Berlin. He trained as a developmental editor with the Author Editor-Clinic, and as a coach with NAWE/Arvon and Animas Coaching. As a professional writer, editor, and proofreader with 15 years of experience in journalism and corporate communications, Sarah loves to tell stories and to help you tell yours. Educated with an honors English degree and an MA in journalism, she specializes in turning passive, clunky language into copy that sizzles, and she can help you to say what you really mean in simple, clear language. She loves working with new authors and lives in Toronto with her husband and two dogs. 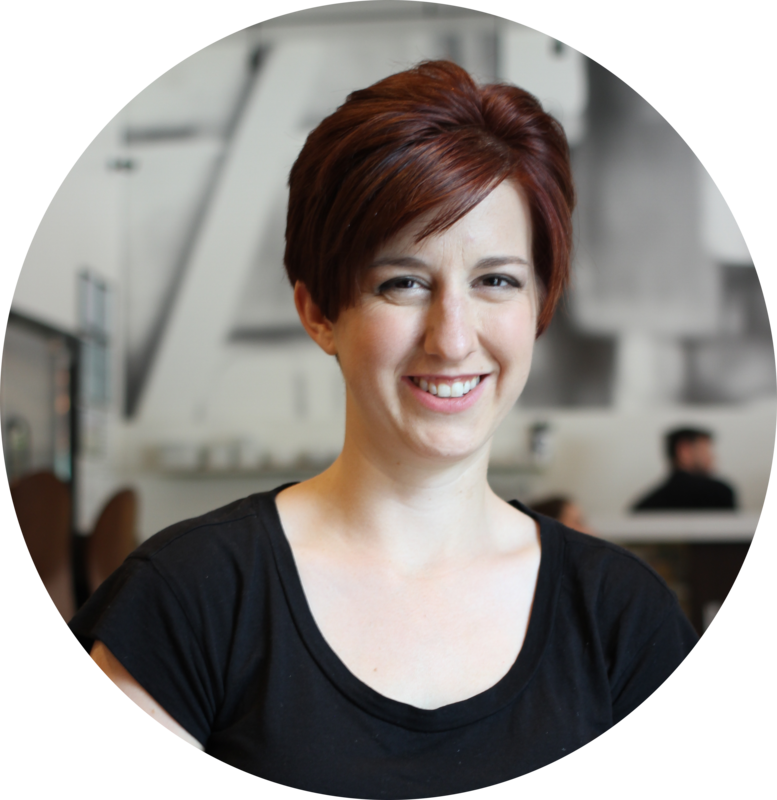 Hayley has over 10 years of experience teaching English as a Second Language, providing editing services, and ghost writing. She works closely with authors, offering thorough and honest editing as an author’s beta reader, copyeditor, and proofreader of nonfiction books. Hayley has a knack for catching commonly overlooked inconsistencies in a manuscript. Michael has been a professional writer, copyeditor, and proofreader for over nine years. He has copyedited and proofread for authors of widely-read online publications, such as Fast Company and Huffington Post, as well as for authors of nonfiction books, technical manuals, academic papers, and scientific reports. Michael has completed the Certificate IV in Professional Writing and Editing, as well as coursework as part of Australian College’s Higher Diploma of Editing in Publishing and the Diploma of Professional Writing. He lives and breathes writing, reading, and grammar. Jesus Cordero was born in Maracaibo, Venezuela. He graduated as Graphic Designer and Art Director in 2001. His designer career (spanning more than 15 years) has provided Jesus with the opportunity of working with high profile companies and clients around the world. A lover all things color and extremely passionate about good design, Rachela has been professionally designing and teaching graphic design for almost 20 years. She received her bachelor’s degree in Public Relations & Marketing from Georgia Southern University and continued on to receive her graphic design training at Algonquin College in Ottawa, Canada. She has been designing graphics well before she even knew there was a word for it. She created the logo for her homeroom class in the 7th grade, entered a contest to design an after school club logo when she was 8, and used to sit with her art set following along while watching Bob Ross on Sunday afternoons. Carol LeBlanc, CPA is a Financial Strategist + Bookkeeping Problem Solver working exclusively with online entrepreneurs. She helps them get their financial house in order through the regular practice of setting financial goals, looking ahead at what is happening to the cash in their business, mapping out strategies to increase profits, and providing accountability, encouragement, and support to make it happen. Her mission is to grow your mission. Amit is a Management professional with an Engineering background, with 7+ years of combined industry experience in Marketing & Sales Consulting, Business Intelligence & Analytics, and Product thanks to his time with Cisco Systems and ZS Associates. He crafts solutions that address peculiar business problems in the day-to-day functioning of the team. No matter how complex the problem is, chances are that Amit will break down the problem into addressable parts and will surprise everyone by making the solution a reality. Click here to see the beautiful books our team has produced.